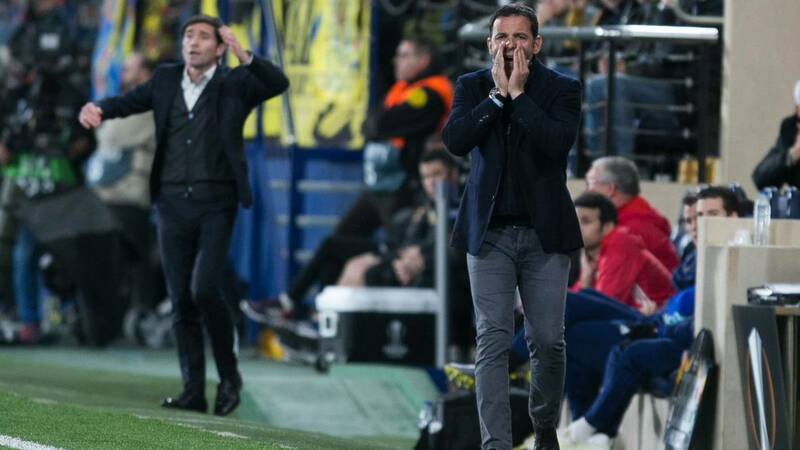 Home Soccer Calleja: "We did not have the job to finish the rival"
Calleja: "We did not have the job to finish the rival"
The coach of Villarreal regretted that luck again abandon them in the final stretch of the games: "We have not realized that we had the return". Balance: "We have done 75 very good minutes, we have dominated, we have had occasions for the match to be the other way around. In the last 15 we have accused the rhythm that was imposing the Valencia, they have put us in our field, and the aid did not arrive and they have hurt us ". Others in the last minutes: " We need office. We did not realize that we had to return and that, with 1-1, we had the chance to pass. Now it is very difficult, the result is very bad. If you play 75 minutes well and then you do not know how to finish it off, against players like Valencia, they manage to turn the match around and finish it off. " Changes too offensive: " It was difficult to find people on the bench who were out of contention. But you have to see the changes. Mario asked for the change, Cameras with discomfort. The only tactical change has been that of Iborra. They have been more successful despite the changes. " How is the team mentally ? : " When the team does not win and how the defeats are taking place, it hurts a lot. But I see the whole team. He knows he does things well but he is not being so forceful. We have done quite good matches, we have scored many goals but we have lacked experience and skill to kill the rivals. And then what happens to us happens. " Hope to flip him in LaLiga: " Now we focus on the next game, against a direct rival. From the game of Girona we will think of Valencia. It seems unsportsmanlike to throw anything. We have to be competitive at Mestalla. " Recover the team mentally: " Time to train there is not. It is a very important aspect. I have spoken with the players and the mirror in which you have to look is the first 75 minutes. Playing like that, football can not be so unfair to us. " Cazorla personality: " He said it right afterwards. What will I say about Santi? He has more personality than anyone to take on those moments that the team needs him. " How are the injured ? : " Tomorrow they will test Mario. The case of Cáseres has been fatigue, Álvaro has taken a very strong blow. And the rest, to pull the whole medical body we have to get in the best conditions ".